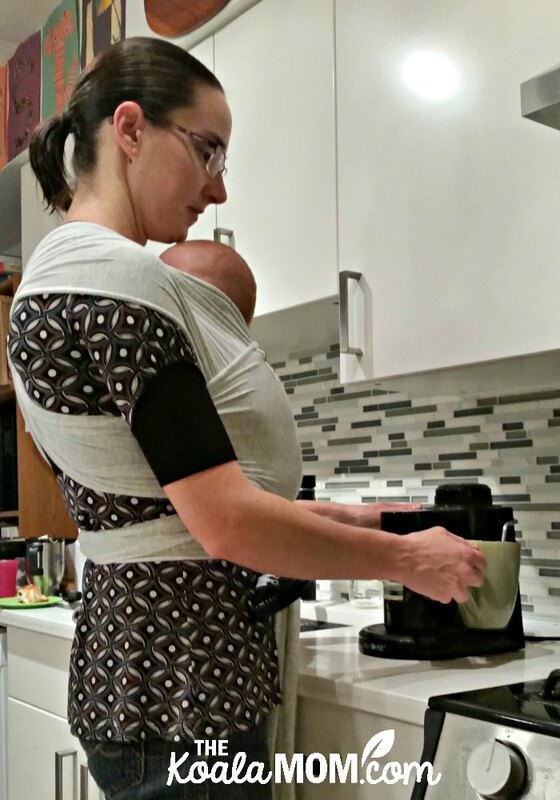 Beluga Baby Bamboo Wraps are comfy & easy to use! 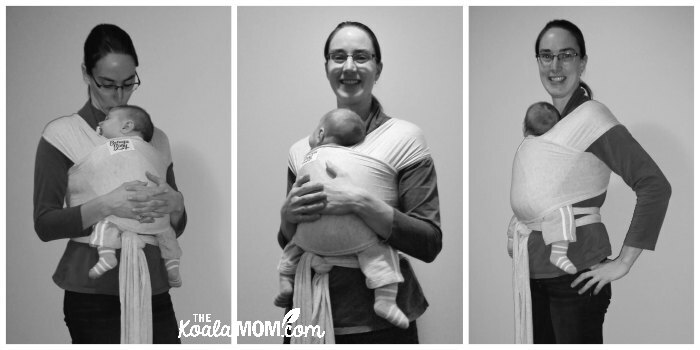 This post (and many others this month) has been brought to you by my Beluga Baby wraps. Thanks to these wraps, I can type (and do housework and homeschooling) while still holding a baby. I can’t believe it took me five babies to finally discover the awesomeness of wraps! 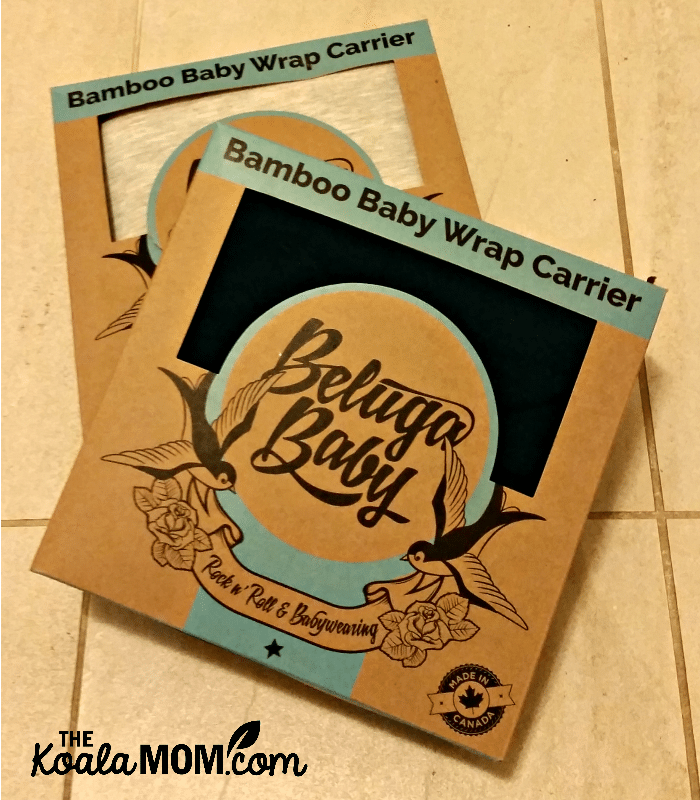 Here’s why I’ve been so excited to review Beluga Baby’s bamboo wraps for the past month. Joey is two months old now and growing like a weed. Back when he was a newborn, I experienced my usual postpartum frustration: I couldn’t get anything done while holding a baby. 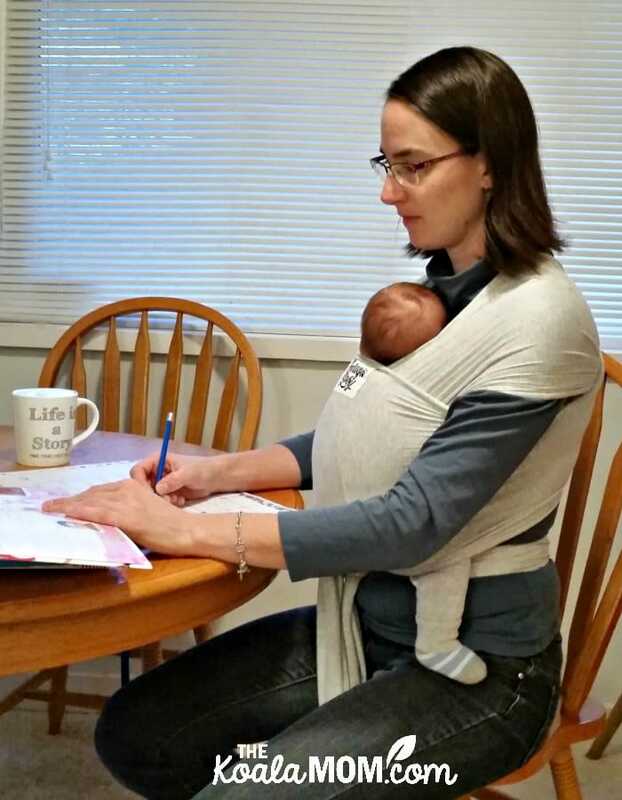 Sure, I’ve learned how to make my latte with a baby on one arm, but other things are more difficult to do. Joey (like all my babies) didn’t like being put down, and I’d end my day feeling frustrated because all I did was hold him. I’ve actually seen friends wearing various wraps for as long as I’ve been a mom. Back when Sunshine was a baby, a good friend of mine had just had her eighth baby. She kept him wrapped most of the time (and joked that it was to keep his siblings from loving him too much!). All the wrapping and tying of the wrap looked a bit complicated to me as a new mom. I preferred my simple buckle-on baby carrier (even if it killed my back). When my wraps arrived, I watched the tutorials again while following along. 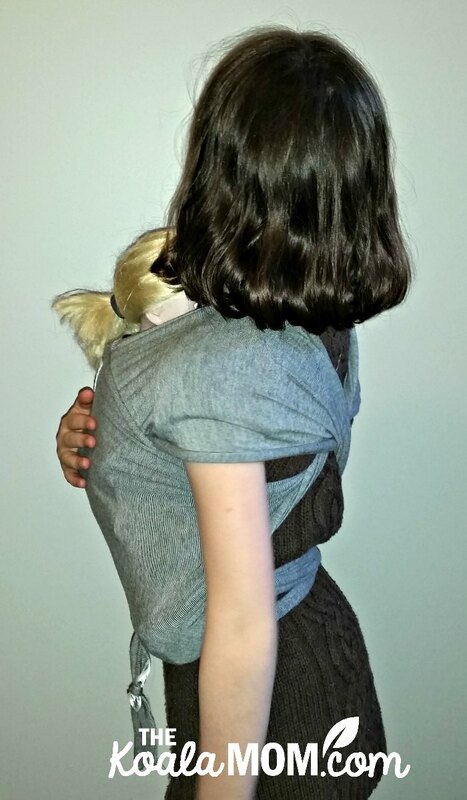 Joey was soon installed in the wrap, and Sunshine had her doll tied on with her doll wrap as well. Right away, I was in love. Tying the wrap on had been less complicated than I expected (I only watched the video once). Joey seemed to love being tucked up tight against me too. Typing and vacuuming and homeschooling got a whole lot easier! I picked two wraps mostly for fashion reasons (one fun colour and one more neutral colour!) but having two has been handy for other reasons. First, I can keep one wrap in the house and one wrap in my van or diaper bag. Then I don’t get caught at church or the grocery store, wishing I could wrap Joey but not having thought of that before leaving home. Second, I often end up wearing Joey through dinner so that I can eat with two hands. That also means that his wrap sometimes doubles as a bib. Oops! Who knew it was so hard to get spaghetti from the plate over a baby’s head to your mouth. With two wraps, I can throw one in the wash without worrying about when Joey will need it next. 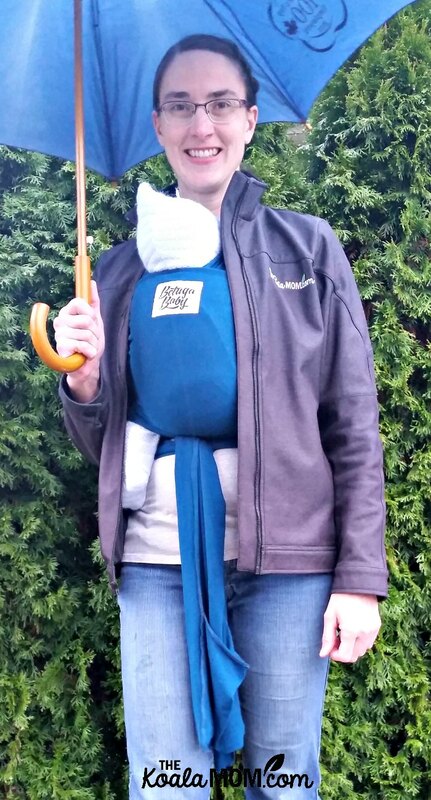 The Beluga Baby wrap has also been a big help in getting through Joey’s fussy stage. With each of my babies, I’ve hoped to skip this stage, but it just seems to be a reality of babyhood. Joey has had his share of days and nights when rocking, diaper changing, nursing, bouncing, and repeating doesn’t affect his crying. The two things that have seemed to help are white noise and the wrap. The wrap holds Joey tightly against me, mimicking perhaps the closeness of the womb and providing a sense of security. It also holds him upright, which helps with gas. I think gas is what causes Joey’s fussiness most, as he seems to have big burps and is often happier after he’s burped. Keeping him upright in the wrap for his naps seems to help him sleep longer. I also like the Beluga Baby wrap because it’s so easy to slip on under my coat. The wrap is scarcely any thicker than a shirt around my shoulders and back. My winter coat is big enough that I can zip it around Joey when he’s wrapped up against me, keeping him snug while we walk to church or the girls’ activities. My raincoat doesn’t quite zip around him, but it does go over me and then I can use an umbrella to keep us both dry. My daughters love doing whatever I’m doing. When I was browsing the Beluga Baby website, I noticed the doll carrier. I knew right away Sunshine and Lily would love it. All the girls have dolls now, so I requested a wrap for them along with mine. Sunshine, as I mentioned, watched the demo video with me and spent the rest of the day wearing her doll. 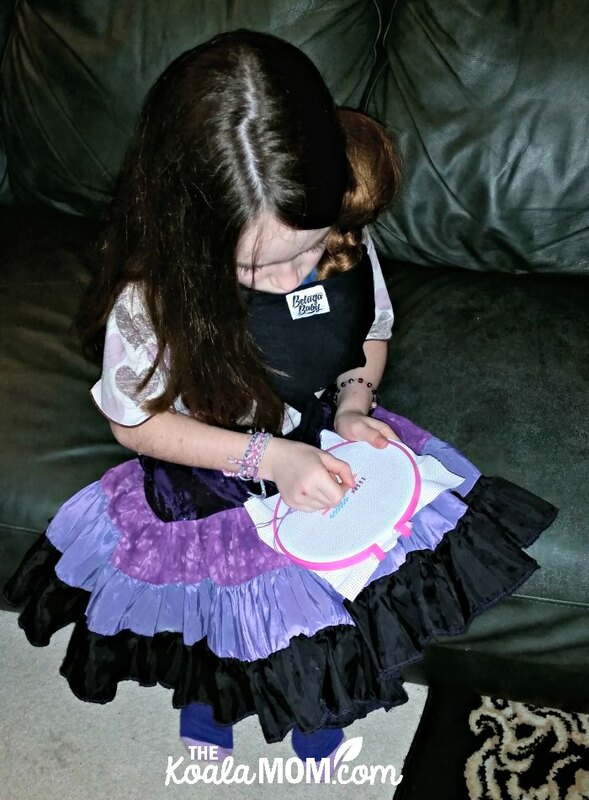 Lily insisted on having a turn with the wrap the next day. (In hindsight, I’ve realized that if my 9-year-old and 7-year-old can learn how to tie a wrap carrier, I shouldn’t have let it intimidate me for so long!) Sunshine then decided she needed her own wrap, so she didn’t have to share with her sister. She spent her birthday money to get another one. 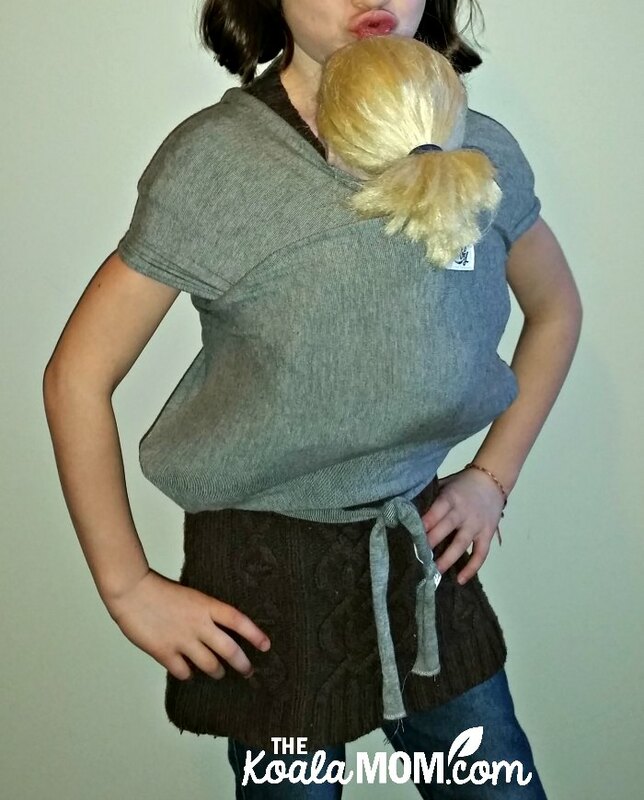 The Beluga Baby carriers are made with bamboo, which means they are super soft and stretchy. Bamboo wicks moisture away from your body, so you don’t get really hot while babywearing. Plus, bamboo is naturally antibacterial, UV protective, hypoallergenic, eco-friendly and sustainable. As I mentioned, the wraps are washable. Use a gentle cycle and hang to dry to help them last longer. I haven’t yet figured out how to nurse with baby in the wrap, or how to get a sleeping baby out of the wrap without waking him up. Right now, I usually put Joey in the wrap when he’s grumpy or ready for his nap, and wear him until he wakes up. One thing I’ve noticed since having Joey is that I don’t have the back pain I had after Pearl and Jade. With both of them, I often used a hot water bottle or painkillers for my backache, or went for a massage. Even though I’ve been wearing Joey lots, I haven’t had any back issues. 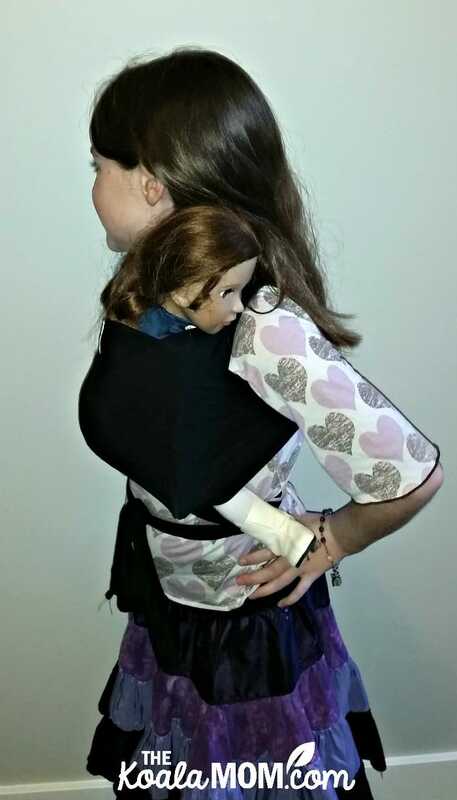 Because the wrap holds him so tightly against me, and is wrapped over my shoulders and around my waist, it’s much easier on my back than other carriers I’ve tried in the past. In short, whether you’re a mom of one or a mom of five, I highly recommend checking out Beluga Baby’s wraps. They have a gift registry if you’re expecting a new baby and want to add wraps to your baby shower list. You can also use their store locator to find a local shop where you could check out the wraps before buying. I love wraps! I became a convert before I met my partner. Working in coffee shops in Boulder, CO, I’d see mom after mom wander in with a wrapped baby, a small backpack, and no diaper bag. They’d pop the kid out if they were awake, order their coffee, hang out for a bit with their drink, and then wrap the kid, (often in a different position), back up, and head out. It all looked so easy! Consequently, when my partner and I started to discuss having kids, I made deal. : after the kid was born I’d carry it everywhere in the wrap in exchange for never having to have a stroller. It worked out phenomenally well! As you pointed out, as long as the kid was asleep, I had my hands free to do other things. We also went so many places so easily. My partner and were both grad students when our first kid was born, so we were lucky enough to be able to take half day shifts each hanging out with kid. I’d plop her into the wrap and we’d go visiting around Brookhaven Laboratory stopping in to say hi to all the scientists and administrators we came to know in the building. I did get pulled over by a policeman once after someone called in ‘a strange bearded man with a lump under his coat.’ In the end, we up being buddies with the officer as well. I agree about the complete lack of back pain. I did run into sore quadriceps on long carries as the kids got bigger. That could be attributed to the kids though. They all liked to be bounced in the wrap until they fell asleep, which led to standing most of the time on public transit with the youngest kid. The only other thing that was n issue was that my knees took a few months to readjust to climbing stairs after each kid was done with the wrap. I’ts really cool that Beluga wraps are made from bamboo! Our wraps were all cotton based, so while they were stretchy which was great, they didn’t wick at all.